A friend once said that the critical path method is used because “Whatever you do, something else has to happen first.” That’s a trifle overly simplistic, but it’s a good starting point for an introduction to the critical path method. Here, we’ll take a rather more in-depth look at this methodology. Don’t be put off by the math! It’s easier to master than it looks! What’s the Critical Path Method? In its simplest form, a project will consist of a single sequence of activities that absolutely has to happen within a certain timeframe. Otherwise, you run the risk of the project not being completed on time. More often than not, those, some of these activities are happening at the same time, and if one is delayed, the entire project might be delayed. And as you probably already know, delays can be very expensive! There’ll also be activities that have a rather more flexible schedule. You need to complete them, but their completion date isn’t as critical to timely completion of the whole project as that of other activities. Cooking a meal provides a good example. You want your meat and veg to be ready at about the same time. But it doesn’t matter if you lay the table an hour early or whether you lay it five minutes before you’re ready to serve dinner. The timing of your meat and vegetable preparation is critical, the time of laying the table is less crucial. It’s worth noting the difference between critical and non-critical activities. It’s the critical ones that define the timeline. Using our example, how long does it take you to prepare dinner? The time you need to lay the table will be the least of your time-bound concerns so that that schedule can be a lot looser. Laying the table doesn’t “determine how long” cooking the dinner takes. What Does the Critical Path Method Look Like? 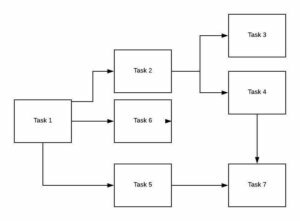 Visually, the critical path method is a diagrammatical representation of the entire project. You can use the diagram to get an overview of what’s going on, check schedules, and as project manager, you can intervene as necessary to keep the project on track once it’s up and running. Clear identification of the “critical” or vital tasks that require the most management attention. You want to finish on time. Which activities are the determining factors that show whether you are likely to do so? Knowing which ones they are, gives you priorities for intervention. Identify areas for fast-tracking the project. Let’s say you want to get finished faster than the initial timeline suggests. Which tasks can you speed to ensure early completion? The “critical” tasks ultimately determine the “when” and they’re the ones you need to support if you want a shorter completion time. The critical path method helps managers to see whether projects are going as planned. At any time during project execution, the manager can see which tasks are taking more or less time than expected. This allows for the updating of schedules and a comparison against the initially-planned critical path. During the project, managers can plan to overcome any delays caused by deviations, and afterward, they can use the information to help plan for future projects of a similar nature. So far, so good. We have a good understanding of what the critical path method is and why it’s a good idea to use it. But what do you need to do to compute a critical path for your project? Let’s use a six-step approach. 1. Which Activities Does the Project Entail? Before you start thinking about what’s critical and what isn’t, list all the activities that your team will complete to finalize the project. At this stage, you don’t have to go into too much detail, in fact, you shouldn’t. You want an overview that shows you the big picture. Once you have that, you can get to work on the finer details. So, you’re cooking dinner. You need to cook the meat, cook the veg, and serve the meal. Once you know this, you can check out the recipes and spit the “higher level” activities (cook meat, cook veg) into smaller steps that include all the details. 2. What Depends on What? If I want this task done, which task must happen first? Which other tasks should finish at around the same time? Now you know which activities needed to complete the project depend on others, you can sketch out their interrelationship and the order in which they must be carried out. This is your most basic critical path analysis chart. It gives you an at-a-glance version of your project’s path to completion, but it’s far from finished yet. In reasonably simple, short-term projects, you might just go for a guesstimate time frame for the completion of each step. However, suppose you want a greater degree of certainty and that the project is rather complex, you need three different time estimates. These are given standard symbols that can be fitted into simple equations. a is the estimate if all goes well and there are no hitches. m is the estimate that seems most likely. b is a worst-case scenario. What’s the longest time it will take to get this step done? As a project manager, you will need to get these figures from the people who know the specific task best. You don’t need to be an expert on every activity your project entails, but you do need to rely on the expertise of your project team. Without an experience-based estimate of each of the three different time frames, your figures will be meaningless. Now that you have your variables (a, m and b) you can use these tested formulae to decide on a time frame for each step. As you can see, the time identified as the most likely is given more weight than the shortest or longest possible times in this formula. It is multiplied by four in the equation and added to the fastest and slowest likely times before you calculate an average by dividing by six. The triangular distribution another approach will give you a slightly different time frame as its answer and doesn’t add weight to the likeliest time identified. Instead, it estimates time-based on a straightforward average between the best, likeliest and slowest time-frames. Whichever method you choose, you will now have a set of time frames for each activity in the project, and it’s time to move on to the next step. 5. Which is the Critical Path? There are two techniques for identifying the critical path. Remember, this is the path that determines just how long your project will take. That means that if you run parallel activities, the real critical path represents the sequence of activities that take the longest time to complete. Your teams will finish the other activities in the chain with ease before the critical path has run its course. As a project manager, making sure that the most sensitive path (the one that takes the longest time) doesn’t go off track will keep your project running on time. When determining the critical path chain of events, remember that some activities will consist of more “nodes” (the boxes indicating what the activity is) but still take less time than some of the chains with fewer boxes. Back to the simple project of making dinner: the roast will take an hour, but although preparing the veg involves more steps, it won’t take you as long to complete. If you don’t want dinner to be late, you need to base the time you plan for cooking it on the dish that takes the longest time, in this case, the roast. The forward pass and backward pass technique offers another way to look at it. The diagram above illustrates a forward pass. Activity A has no predecessor, so we know that its team must be finished within the estimated time and that it is not influenced by preceding steps. Activity B, however, follows activity A. We estimate that it will be complete after A’s estimated time has passed, and Bs estimated time as run. With the backward pass, you’ll begin at the end of your project and work backward. This time, you’ll incorporate “float.” The Float is the difference between the time you have to finish part of a project and the total “early finish” times you calculated. You can add this slack to figure out “late” completion dates for all activities. Now that you have the early and late start and finish times, you can fill them in below each node on the representation, and you’ll also be able to identify the areas that have no float. These will indicate your critical path. No matter which method you choose, the longest chain of events in terms of time needed is your critical path. If you have several of these, your project becomes more sensitive to variation. There are more critical activities taking place at once, and more activities mean a greater chance of variance in the schedule. After all this thinking, the time has come to take the plunge. You know what to do, and you know which activities have the greatest importance in ensuring timely completion. You also need to track the less critical activities, but you have a lot more leeway with them. You’ve estimated the time you need for each step, and now it’s a matter of tracking to see whether activities are finished late, early, or completed in the estimated time. You are, of course, likely to see some variation from your estimates. If critical chain activities finish early, you might find that you have a new and completely different set of activities that become critical to completing the project on time. 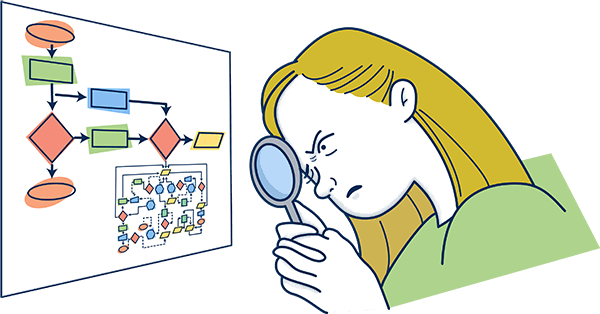 Keep analyzing your critical chain throughout so that you know where your critical path activities lie. Since you’ll use the critical path to determine how long the project takes, it usually won’t have much if any “float.” If you want to fast-track the project, the critical path is the place to begin looking. You don’t necessarily have to throw more resources at an activity in order to get it done faster. You can look at your diagram and determine whether some activities can start before the previous one is finished. You may not be able to complete them, but you can prepare them for rapid completion once the task it depends on finishes. Let’s suppose that your dinner-cooking project involves a serving activity. As part of this, you need to warm the plates first. If you wait till your food is ready to be served before warming the plates, it will take longer to complete the project. However, there’s nothing to stop you from warming the plates before the food is ready. You still can’t serve the meal before the food is cooked, but when it is, you don’t have to wait for the plates to warm up. Of course, throwing more resources at steps to get them finished faster is an option. This idea is called “crashing.” However, rushing things by crashing could reduce quality. Weigh using this approach with caution. Think of that lovely roast dinner. You could have it ready faster if you microwave it, but do you really want to? You will need resources to complete any project. You have a map representing the path to your goal. You have a critical path that will determine the duration of the project, but you will also need resources. Whether its money, people, or materials, you don’t have access to an unlimited amount of resources. You may even find that the availability of resources, rather than time, will affect when you can finish your project. Combine critical chain analysis with your critical path methods to protect your project from delays caused by a shortage of resources. You may find that you have to build in a little extra time so that your project can wait for a resource to become available. The critical path method is a way of determining the duration of a project. It provides the parameters for monitoring that the project is on track, and it can be revisited when reviewing a project to see what could have been done better. 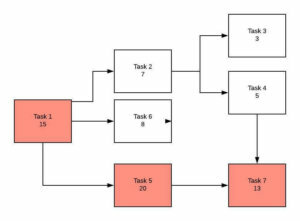 There are other diagrams you can use to set out how a project will work and when each task will begin and end. The Gantt Chart is still widely used, and some project managers like using a hybrid between the critical path method and PERT. You will still need to set up reporting duties and monitor progress carefully, though, and that can be a complex task on its own. A project is a process, however, and processes, once planned, can be automated and monitored using the right software. Tallyfy is a versatile process management tool that will help you to keep on top of your projects by monitoring everything down to the last sub-process. You’ll get early warning of where delays are cropping up, where bottlenecks you didn’t expect are affecting timelines, and you’ll be able to see just how this affects the critical path your project follows. Spot when your critical path has shifted to a new area and be ready to respond with management intervention where and when it is needed most. 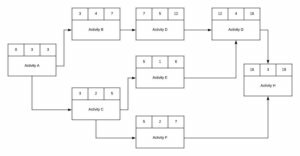 Use the easy way to make the critical path method work for you.